MIN: R.Williams 7-26; M.Shortell 1-14; J.Gillum 4-13; K.Maye 2-12; D.Kirkwood 7-11; M.Gray 2-7; P.Nelson 6-4. NEB: A.Abdullah 18-79; T.Martinez 8-22; I.Cross 10-19; B.Heard 7-18; TEAM 2-minus 2; R.Kellogg III 2-minus 3. MIN: D.Crawford-Tufts 3-22; R.Williams 2-14; A.McDonald 1-26; D.Engel 1-17; B.Green 1-7; I.Fruechte 1-4; D.Kirkwood 1-0. NEB: K.Bell 9-136; J.Turner 6-83; Q.Enunwa 4-65; K.Reed 2-24; S.Osborne 1-3. Huskers Dominate Gophers: Nebraska dominated bowl-eligible Minnesota for three quarters to take a 38-0 lead before settling for a 38-14 win. While the defense dominated, Taylor Martinez, Kenny Bell and the rest of NU’s offense marched up and down the field during the first three quarters. 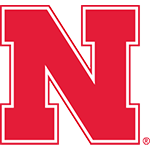 Martinez completed 21 of 29 passes for 308 yards as he became the Huskers’ career passing leader. Bell hauled in nine catches for 137 yards with two TDs. Quincy Enunwa makes a catch in traffic. It was indeed impressive. A win against the Gophers is no gimme. Osborne’s run was the eye of the emotional hurricane. What’s remarkable about Nebraska’s receivers isn’t just their achievement, it’s their improvement. 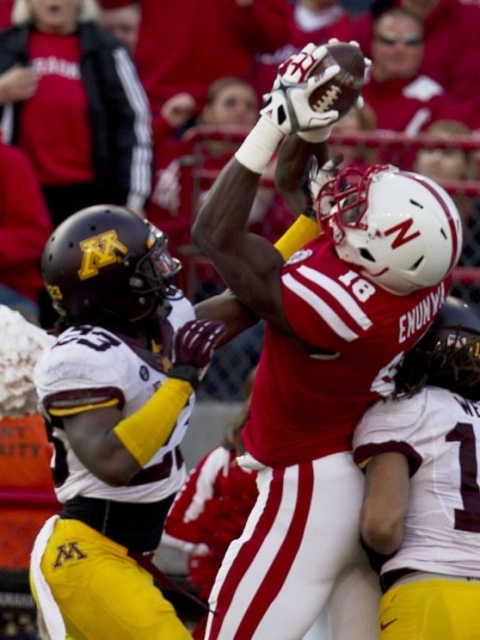 There are signs that the Huskers are going to be very tough for anyone to beat as the 2012 season winds down. This one was 10 shades of ugly and not even remotely competitive. The Huskers actually looked like a team that was tired of being average. It was a great way for the legend that is Tom Osborne to wind up his career at Memorial Stadium. In some ways Saturday’s 38-14 win over Minnesota felt like one of Osborne’s dominating perfor­mances from the ’90s. It was a fitting tribute, as the game resembled so many previous games with Osborne at the helm. After 50 years of heavy lifting … the time has come for Tom Osborne to laugh more. The secondary is simply playing really, really well now and is gelling under Terry Joseph.